After the U.S. formally took possession of the Panama Canal on May 4, 1904, A.B. Nichols was one of the first employees to arrive in Panama and one of the few who stayed throughout the Canal project. At the time, Nichols was 59 years old, making him one of the oldest employees on the project. A.B. 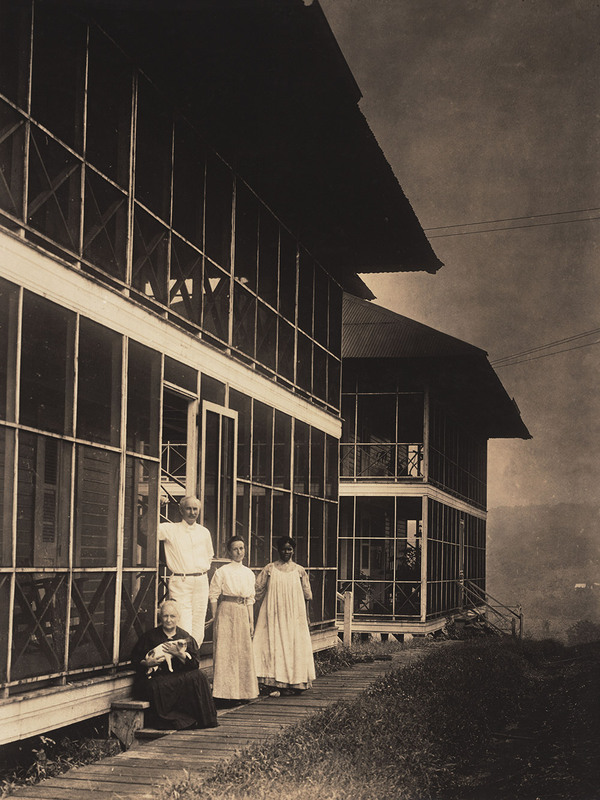 Nichols in front of his home, with (presumably) his wife, daughter, servant, and pet cat, in 1905. A.B. Nichols lived briefly at Gatun and Empire before settling at Culebra, where he served as Office Engineer for the Isthmian Canal Commission throughout the construction of the Canal. His relatively high salary entitled him to a large, comfortable home. 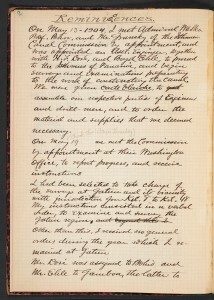 Nichols had joined the Isthmian Canal Commission (I.C.C.) in 1899. His first assignment was to lead a surveying party in Nicaragua when the U.S. was considering it as a possible canal route. 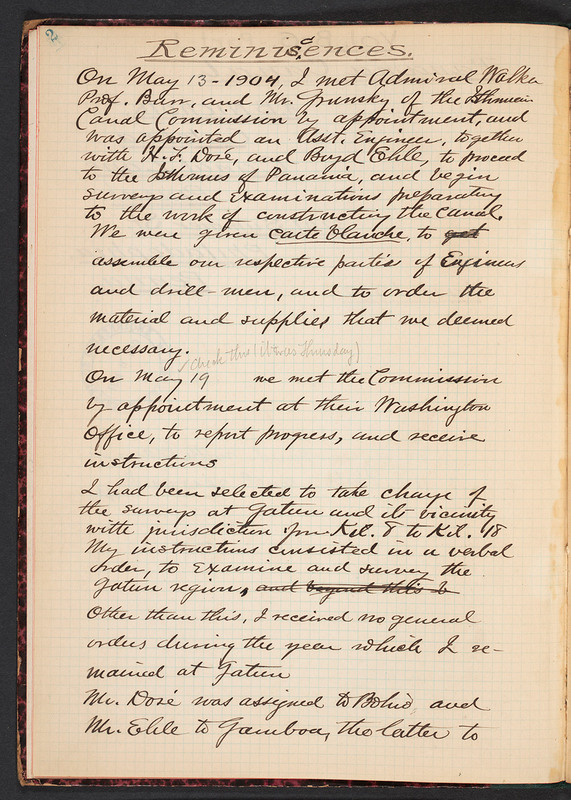 On May 13, 1904, Nichols was summoned to a meeting with I.C.C. members in Washington where he was appointed an Assistant Engineer at the Panama Canal and told to choose a group of men and prepare for departure. His move to Panama was swift. His group set sail on the S.S. Allianca from New York on May 24, arriving in Colón, Panama, on May 31. From there, they left almost immediately for Gatun to begin surveys. Upon arrival, having no other option, they set up a camp and “built a shack in the tropical style” in which the party lived for almost a year. A.B. 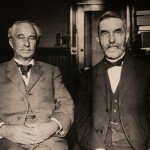 Nichols at his home in Philadelphia with his friend John C. Trautwine Jr., October 1911. Nichols began his tenure at the Canal under Chief Engineer John Wallace, leading survey teams at Gatun looking for a viable location for a dam. In 1905, he was promoted to Resident Engineer in charge of technical studies and posted to the town of Empire. 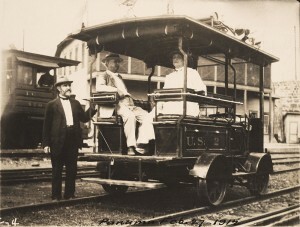 In 1906, Chief Engineer John Stevens promoted Nichols to Office Engineer at the I.C.C. 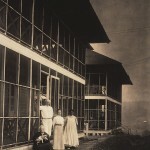 headquarters in Culebra, where Nichols remained until his departure in October 1915. 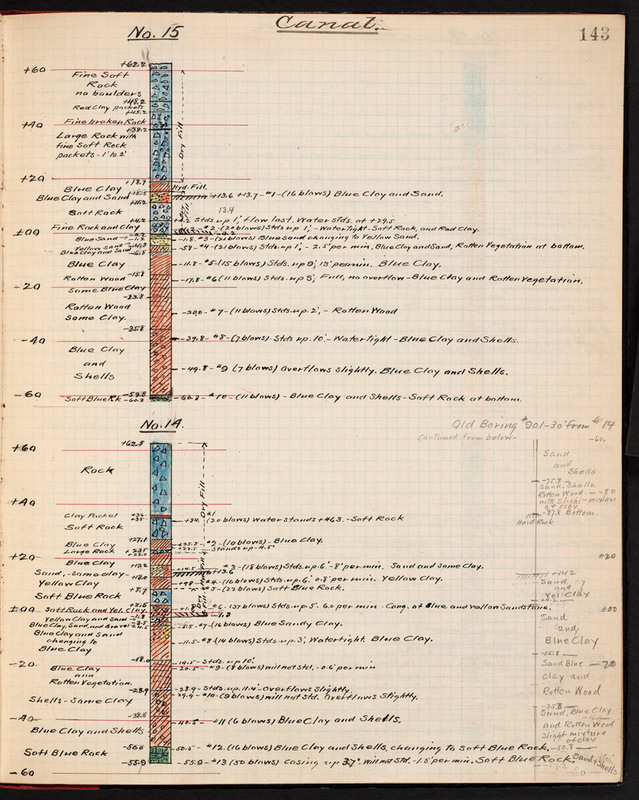 As Office Engineer, Nichols was in charge of a staff that prepared maps, charts, blueprints and diagrams; compiled statistics; and kept the official photographs and records for the project. In September 1907, Nichols observed that the photographs of the project were not systematically labeled and numbered. 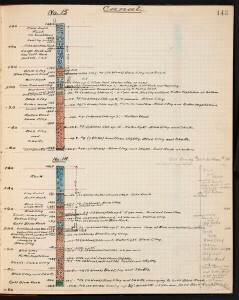 He proposed a system to Chief Engineer Goethals that two copies of each photo be submitted to the office, one copy “to be kept for current use and the other kept in the vault as a permanent record.” Throughout his tenure, Nichols was fascinated with the cause of the continual landslides and he performed numerous core samples in an attempt to find a solution to the problem. Left to right: Henry Goldmark, A.B. 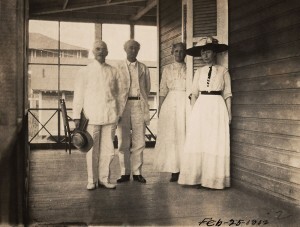 Nichols, Mrs. John Trautwine, and Mrs. Goldmark, February 25, 1912. A.B. 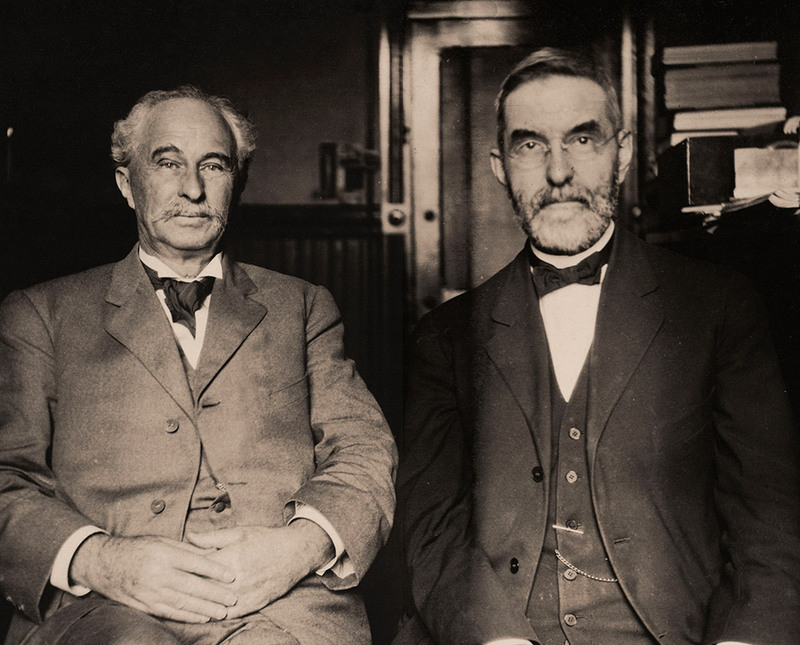 Nichols’ friend, Henry Goldmark, was the structural design engineer for the Panama Canal locks gates. Left to right: John C. Trautwine Jr., A.B. Nichols, and Mrs. Trautwine, in Panama, February 27, 1915. 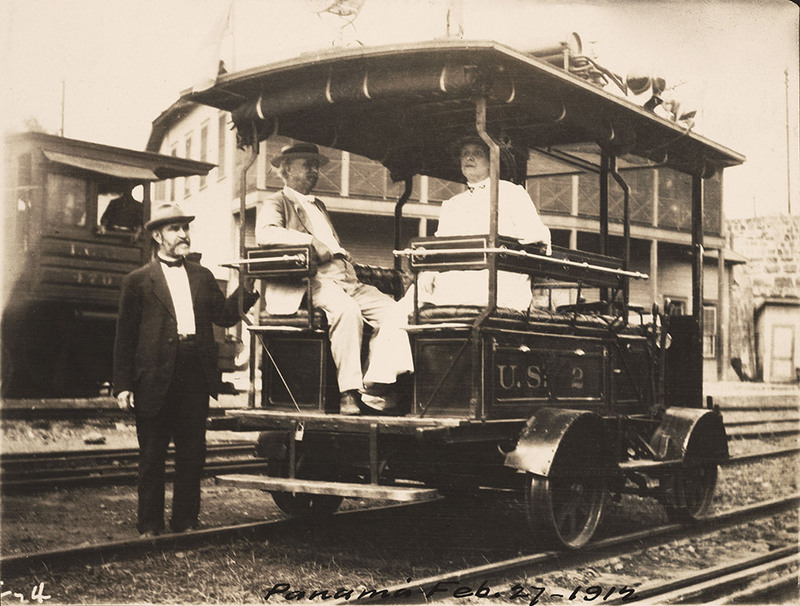 Nichols’ friend John Trautwine Jr. was a civil engineer and the son of John Cresson Trautwine, the engineer who surveyed the route for the construction of the Panama Railroad in the 1850s. Nichols was a graduate of Brown University. He and his wife, Mary, had three daughters, Elizabeth, Mary Louise, and Tirza. Elizabeth and Tirza attended college and taught in the sciences. Mary Louise earned a PhD in biology at the University of Pennsylvania. We have Tirza to thank for donating her father’s collection to the Engineering Societies Library in New York, whose collection came to the Linda Hall Library in 1995. In 1910, A.B. Nichols began recording his experiences at the Canal. This volume of Reminiscences is labeled “Part 1.” Unfortunately, any other volumes are apparently lost. Notebooks from the A.B. Nichols collection. A.B. Nichols took a particular interest in trying to solve the problem of the destructive slides in Culebra Cut. He performed hundreds of core samples and analyzed them in an effort to help solve the problem. © 2019 Panama Exhibit Site. All Rights Reserved.